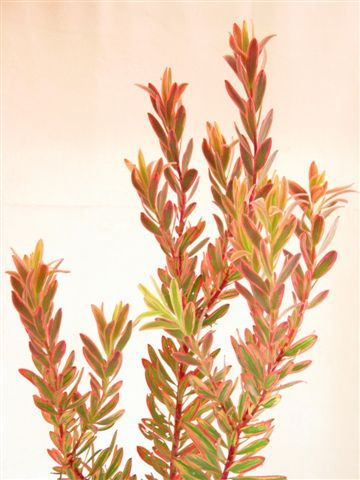 Medium sized shrub 5' x 5' with beautiful pink varigated leaves & red flush in fall-winter-spring. Frost and drought tolerant once established. Slow growing initially. Great screen or hedge plant for well drained soils in full sun. 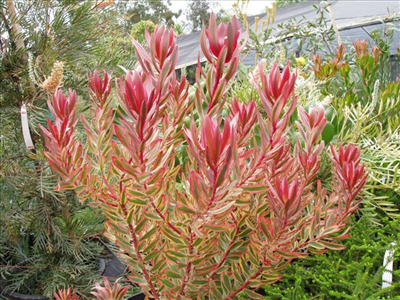 Excellent foliage for cut flowers.